an HMI framework supporting HTML5, Qt, and other native UI toolsets. 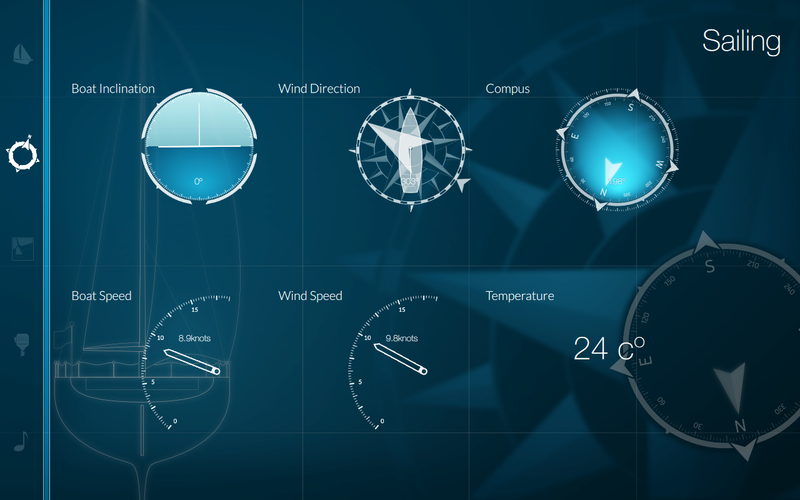 Using Qt5 on QNX, we created a mock-up of a modern interface for a sailing boat, to demonstrate the power of Qt and particularly QtQuick2. We decided to create a concept of a boat dashboard instead of a car, because we believe that more and more vehicles will get a modern interface in the future. Of course, many features exist in common, such as navigation, music player, vehicle status (fuel level, oil level, temperature, battery…). Communication is a little bit different, with radio-based communication system at the push of a button. Finally some features are very specific to sail boats, such as the wind direction and speed.